All Sewell homes currently listed for sale in Sewell as of 04/20/2019 are shown below. You can change the search criteria at any time by pressing the 'Change Search' button below. If you have any questions or you would like more information about any Sewell homes for sale or other Sewell real estate, please contact us and one of our knowledgeable Sewell REALTORS® would be pleased to assist you. "Spectacular Georgian Colonial Boasts The Finest Amenities! Grand Marble Two Story Foyer With New Solid Oak Double Door Entry With Leaded Glass! Custom Kraftmaid Kitchen With State Of The Art Viking Appliances. Bright And Airy Breakfast Room, Elegant Gathering Room Features Marble Wet Bar With Wine Cooler & Fireplace! Exquisite Master Suite Includes A Stunning Marble Fireplace, Wet Bar, Sunken Lounge With Dressing Room & Walk In Closet! Opulent Master Bath With Jacuzzi, His & Hers Vanities And More! Indoor Pool Room Addition Offers Year Round Swimming & Hot Tub! No expense spared! Multi-zone HVAC system only 4 years old! Climate control in pool addition less than three years old. The exterior is just as spectacular with a gated entry leading to a dramatic circular drive with fountain! Luxurious landscaping surrounds this lovely home. There is an expansive deck with access from the indoor pool addition. The entire rear yard is fenced, gated entrance..."
"Spectacular says it all! 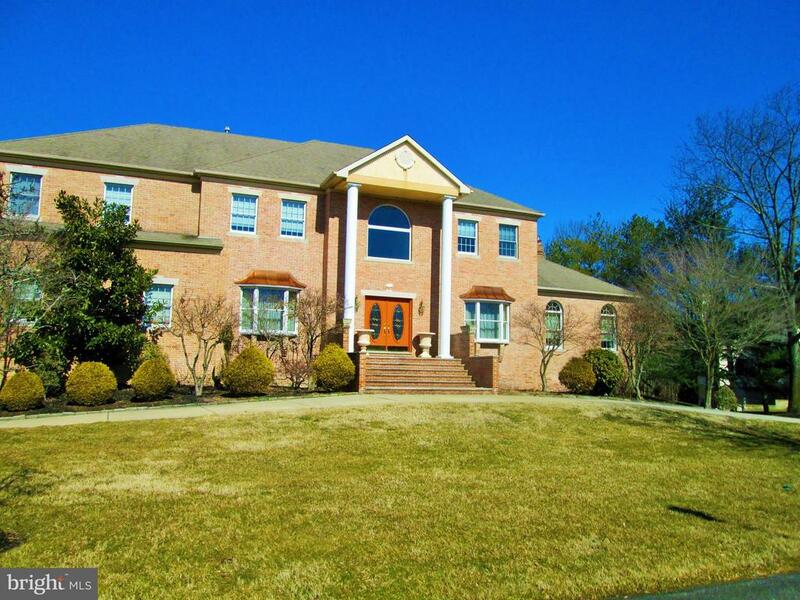 5 Bedrooms, 3 1/2 baths, located in prestigious Windsor Forest . This custom built home is located on 2.23 acres. Walk into the open two story foyer, with ceramic tile throughout the kitchen, living room, and great room. Spacious kitchen flows into a large Family room and Great room with fire place and an abundance of light. The open floor plan is fantastic for entertaining family and guests. Master Bedroom has a dressing area / sitting area with walk in closet. Full finished Basement. Wooded back yard. 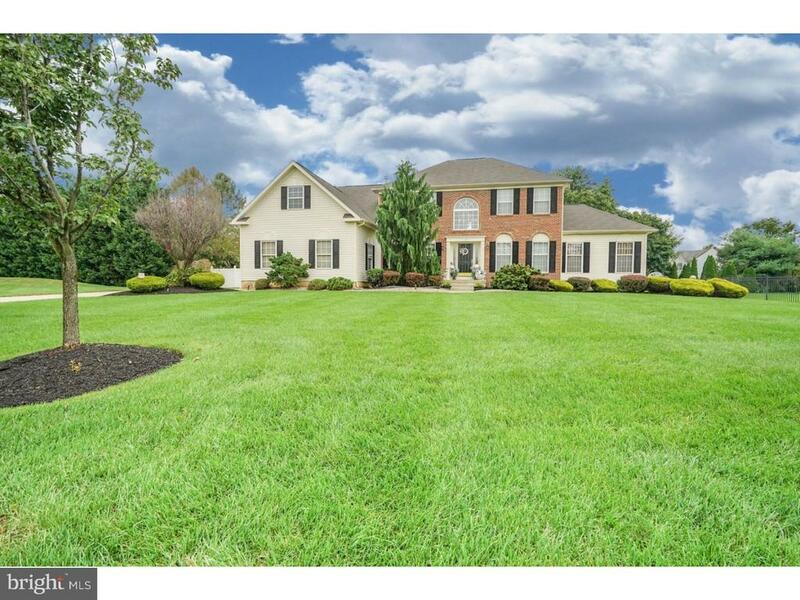 In ground pool, and custom built stone barbecue, great for summertime fun!MOTIVATED SELLER"
"Living at it's finest in desirable and prestigious Wrenfield in Washington Township! The curb appeal is just perfect and inviting, with paver walkway, water fountain and side entry garage. The home features brick front elevation. Enter through your dramatic Foyer , with two-story ceilings and a grand curved staircase. Beautiful hard wood flooring throughout the main level, provides the perfect finish. Lovely open flow, from the sunken formal Living Room with crown molding, to the Dining Room. Large and invitingEat-in Kitchen with 42 inch cabinets, center island, pantry, ceramic flooring, granite countertops, newer stainless steel dishwasher and oven. Open layout to large Family Room with vaulted ceilings, back staircase and gas fireplace with wood mantle. To complete the main level, the home features first floor Study, Powder Room and LaundryRoom that will meet all your needs. Second floor consists of 4 spacious Bedrooms and 2 Baths. Double door entrance to large Master Suite, with Master Bath and 2 walk-in closets. Bath features marble countertop double vanity, upgraded tile floor, stall shower and soaking tub. Hall Bath also with upgraded tile floor and marble double vanity.Home also features 2-zone heating and full Basement just waiting to be finished. Walkout to your own Backyard Oasis! Stunning landscaping and custom pavers surround a beautiful gunite concrete inground pool, with its own wrought iron fence and paverwalls, Privacy trees line the fully fenced yard for your secluded enjoyment. Last but not least, front & back sprinkler system and new exterior capping. This is a magnificent opportunity to have the home of your dreams!" "THIS HOME IS SPECTACULAR!! As you enter one of the best cul de sacs in town, you'll reach the private road that winds around & opens up to this marvelous home which is surrounded by meticulous landscaping. Walk on through the front door into the foyer & you will immediately see how special this home is. Your eye is drawn to the Topaz engineered wood that greets you & flows into the living room which has a lot of windows to bring in natural sunlight. There is a dining room w/neutral decor. Once you enter the kitchen area, the whole home really opens up. The kitchen is remodeled w/plenty of European style cabinets & blue pearl granite tops. There is also a center island w/stool seating, ceramic flooring, a double sink, recessed lighting, an electric cook top, a wall oven, a desk area, built in microwave & a full sized 12 ft. slider that brings in natural sunlight & overlooks your amazing private view of your backyard. The kitchen has a large eating area & flows into the family room w/a stone, wood burning fireplace imported from Italy w/marble tops & large windows w/sun shade window treatments. There is a large laundry area & half bath w/access to your garage. The upper level has 4 spacious bedrooms. However, it is the remodeled master suite that leaves you speechless. The master bathroom is unbelievable! It has a 4 person Jacuzzi tub & a walk in shower w/dual heads done in travertine tile. Do you need closet space? Well look no further! There is a full walk in closet & a 19 x 18 cedar closet w/lighting & plenty of room to dress. The home offers a full, finished walk out basement w/a fireplace & den area, an exercise area game area. If you think the inside is great, then wait until you step out onto your 3 tiered decks (2 of them are 35 x 14) & see your private, wooded view w/a small stream that runs through the backyard. So, bring your morning coffee & a good book & enjoy the serene environment or bring your friends & cook some barbecue because this deck is made to e"
"Make sure to see this beautiful home in desirable Washington Township. This home has been upgraded from top to bottom. Walk in the front door to high ceilings and lots of natural light with the large windows. The kitchen includes brand new cabinets, granite countertops, stainless steel appliances, and new flooring. All of the bathrooms have also been upgraded as well. The paint and new carpets are a beautiful neutral color to make the rooms bright and inviting. Out back is your own private oasis with a sunroom, gazebo, deck, and an inground pool. The basement is fully finished for extra living space with a built in bar and second fireplace. This home also includes a 3 car attached garage. Do not miss out on this one!!" "Welcome Home! Stunning brick home nestled on the end of a private cul-de-sac. You immediately feel welcomed as you drive up to this gorgeous landscaped property. An open floor plan with five bedrooms, 3 1/2 baths, and main floor laundry. 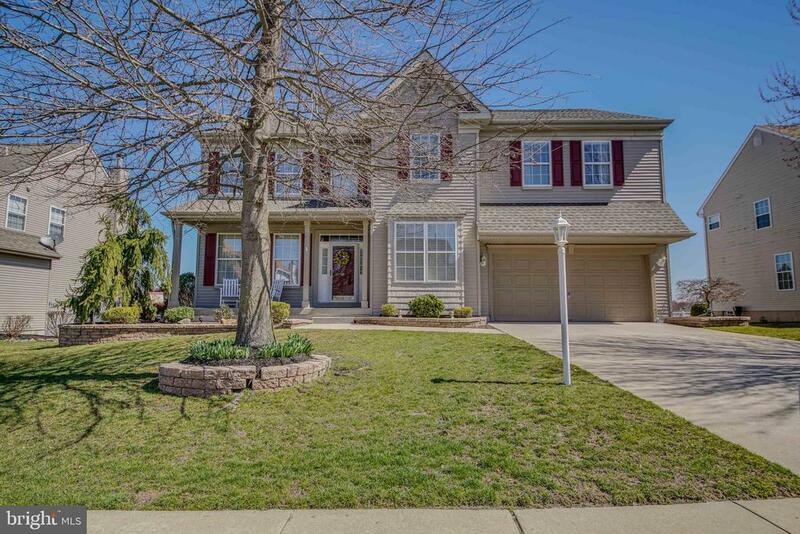 Greeted inside with beautiful hardwood floors and inviting 2 story foyer and front study. Step down to the over sized family room that flows nicely into the fully carpeted dining room perfect for entertaining with natural light from the bay window. The desirable living room has stunning cathedral ceilings and huge windows that bring in natural light. Snuggle up to the fireplace to take the chill off of a cold winter's night. Eat-in kitchen provides ample space for dining and entertaining with a large kitchen island, large cabinets, tile flooring and recess lighting thought. Large 5th bedroom on the main level w/walk in closet and full bath for your custom mother in law suite. Large 21*20 patio overlooking beautiful in ground pool and is completed with an installed waterfall for your enjoyment. Don't forget the partially finished basement with plenty of storage space! 6 ft white fencing for privacy, storage shed, alarm system, front/side/back sprinklers with a well so you can add as much water as you would like. Also, Christmas light package for the holiday season!!!! Close to all major highways and tons of shopping. Put this one on your list and schedule an appointment today." 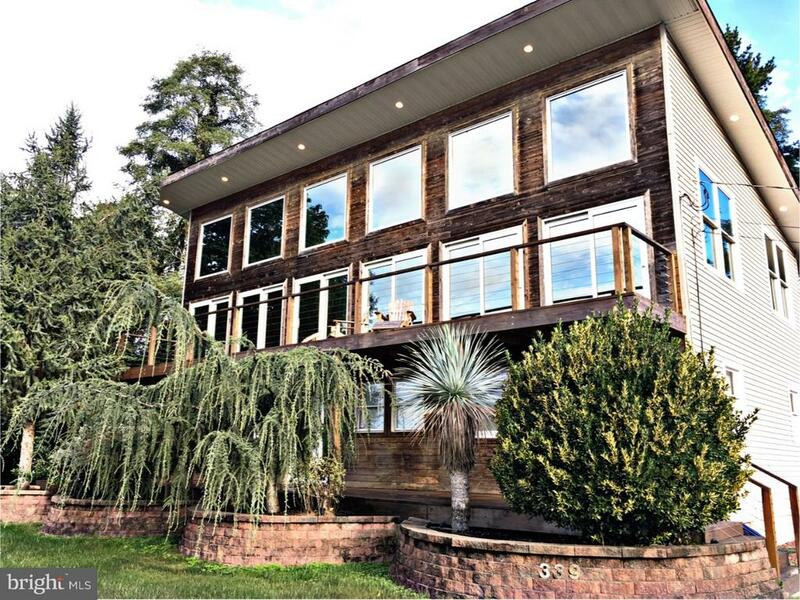 "One of a kind custom built home on 3.5 acres! This beautiful stucco and stone masonry home opens to a grand foyer with a vaulted ceiling and curved hardwood stairway. One the first floor the family room features cathedral ceiling with skylights, hardwood flooring and gas fireplace. The kitchen has a center island Jenn-aire cooking. There is also an office off the main hallway. The master suite offers a vaulted ceiling and huge bath area with shower and Jacuzzi. Truly a must see!" "Elegant Stoneleigh model located in Wrenfield Community featuring circular floorplan, two story grand foyer, curved staircase, gorgeous pallidian window, crown moulding, shadow box with chair rail, Hardwood floors throughout foyer and large dining room that opens to the step down formal living room. Gourmet sized kitchen with 42in cherry cabinets, granite countertops, large pantry, island, and oversized sliders that leads to the huge backyard. Two story Great room open to kitchen with decorative columns, floor to ceiling brick fireplace, wall of windows, laminate wood like flooring, and dual staircase. Stately master suite with tray ceiling, his and hers walk in closets, private bath has tiled garden tub, dual sinks, full shower, and linen closet. Three additional large bedrooms nice sized closets. Plus a full basement offering plenty of storage. Other amenities include newer carpet, and tile flooring, entire home freshly repainted, irrigation & security systems. 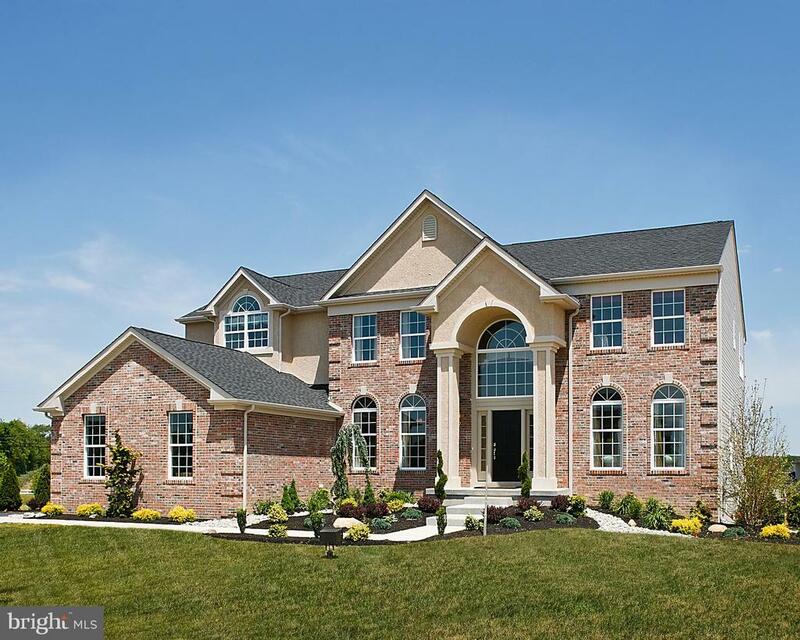 All of this on a premium lot in the Washington Township school district." "THIS HOUSE IS REALLY SPECIAL AND UNIQUE! 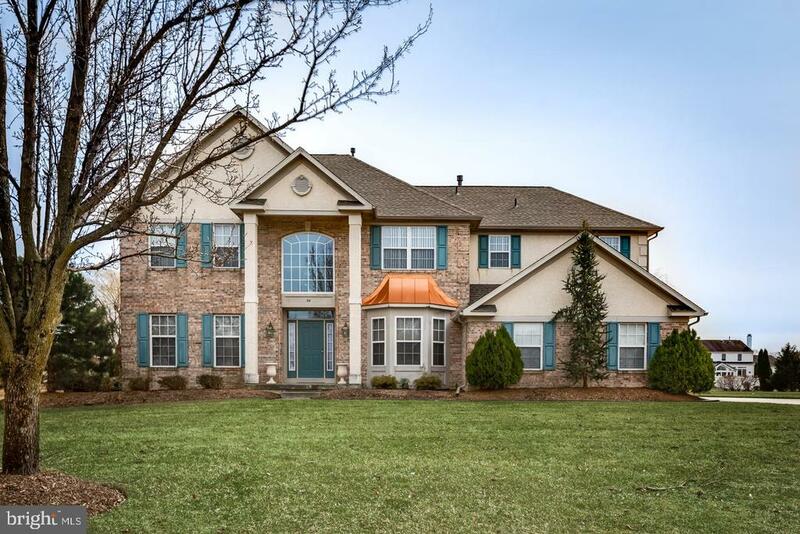 Not only does this home sit on the end of one of the most prestigious cul-de-sacs in Washington Township, but this home is absolutely spotless and has a contemporary flair that is very tastefully done. This gorgeous home is located at the end of a quiet, peaceful cul-de-sac with executive homes all around. Drive on down the long black top driveway and the land opens up to this wonderful home with meticulous landscaping. As you walk into the front door, you immediately know this home is special. There is great attention to every detail. It has a wide open floor plan that allows you to flow from room to room. There are vaulted ceilings, exposed beams and plenty of light flowing through skylights and palladium windows across the back. Just look at the flat stone propane fireplace that just begs you to sit and relax. The formal dining area leads right to the custom kitchen which is perfect for entertaining. The kitchen has ceramic flooring, granite tops, a double oven, plenty of cabinet space and an eating area that overlooks the entire back yard. Also on the main floor you have your large family room and a custom bath. The upper level has 3 spacious bedrooms. The master suite has it's own private balcony, recessed lighting, 2 walk in closets and a remodeled custom bathroom that is to die for with a walk in shower and a Jacuzzi tub. 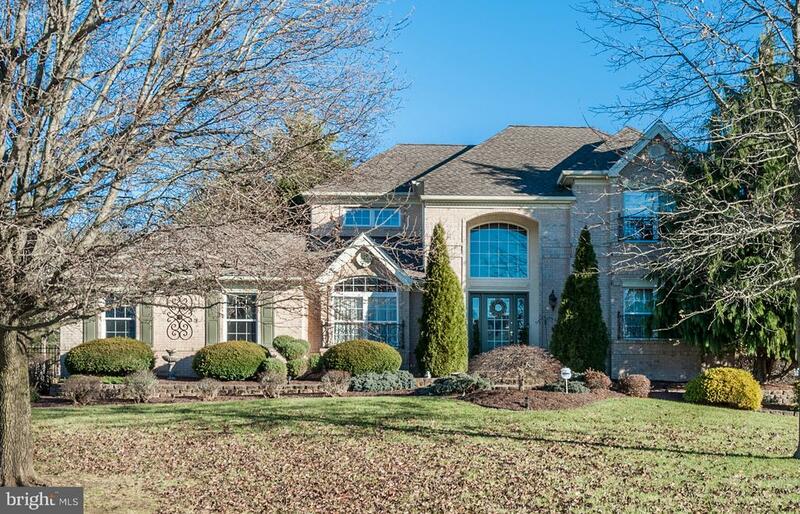 The entire back of the house has Anderson windows and is designed to have a wide open view of this beautiful wooded back yard with a flowing stream. The back of the house is just made to entertain with landscaping that continues with a 12 zone sprinkler system, mulch beds & flowing multi-tier decks. Storage is not a problem with a 4 car garage and a separate workshop. The newer heating and central air system are multi zoned with high efficiency systems. The home also has a newer roof. There are so many extras in this home that it would be impossible to list them all. I can guarantee you that if you're"
"Stunning home! Great location! Step in to this customized Stoneleigh Model from Paparone and you will fall in love with this warm and inviting home. A soaring 2 story foyer with a curved open staircase greets you as you enter this gorgeous home. A spacious step down living room with an adjacent dining room is a great space for large family dinners. The dining room easily accommodates 18 seated for holiday gatherings! The neutral pallet will allow any decor to easily work with these great rooms. Step into the kitchen that boasts rich cherry cabinetry, granite counter tops, stone backsplash, newer appliances, recessed lighting and so much more! The large slider allows a perfect view of the wooded backdrop....Architectural interest adorns the lovely family room! The arched windows, wood columns, soaring 2 story foyer with sky lights, set off by a gas fireplace are a few of the amenities that make this room so inviting! Head upstairs to the 2nd floor where there are is a spacious master bedroom and bath with 3 additional roomy bedrooms and a main bath. The master bedroom is highlighted with a tray ceiling 2 walk in closets and master bath with stone tile, a soaking Jacuzzi tub and separate water closet. The master bath has been updated with lovely appointments that include upgraded fixtures, granite counter tops and lighting. The main bath has also been upgraded with the same Take the trip down the curved staircase back to the first floor where you will find a rich elegant home office. The updated powder room and laundry room with coat closetand laundry sink finishes the tour of the main level,,,,,,.Continuing your tour to the lower level.. Many parties will be enjoyed in this finished basement! This fine lower level features a bar area, seating area to take in Sunday football games, pool table area, a cozy nook to sit back and relax, a gas fireplace and a full bath! This space was well designed with storage in mind! There is great closet space along with a sprawling "
"Situated on 3.5 acres this superb location has captured privacy and nature at it's best! You don't want to miss this very special property known as the House on the Hill and was custom built to entertain! Backing to preserved farmland with the most spectacular views; you'll surely feel as though your on vacation in the AMAZING INFINITY EDGE gunite pool with swim up bar, hot tub and pool house! The interior features plenty of natural light with Andersen casement windows capturing the gorgeous views! The entry is two story with beautiful marble flooring, the living room is very spacious with warm hardwood flooring that's also in the dining room. The kitchen is delightful with volume ceiling, Corian counter tops, hardwood flooring, huge pantry and a curved breakfast bar. The bright breakfast nook features radiant flooring under the ceramic tile and panoramic views! The family room opens to the kitchen and includes a butlers pantry, hardwood flooring, and walk out slider to the patio! The bedrooms are just fantastic! Start with the master on the 2nd floor its VAULTED with recessed lighting, ceiling fan, hardwood flooring, dressing vanity, pocket doors to a separate sitting room and of course a large walk-in closet with built-in organizers! The updated designer bath is beautiful with volume ceiling and a stand alone square tub and large tile shower with frame less doors! You'll find a 2nd HUGE bedroom with sky lights and 2 large walk-in closets! The first floor has a wonderful set up with a bedroom that opens to large bonus room that could be a possible IN-LAW with nearby full bath OR easily 2 separate rooms (doors available). The laundry room is even wonderful with, built in cabinetry, shelving and large pantry! The basement is currently set up as an office with ground level entry door. Additional bonus features about this home include a kitchen set up for easy party prep in the over sized garage that has an epoxy painted floor! 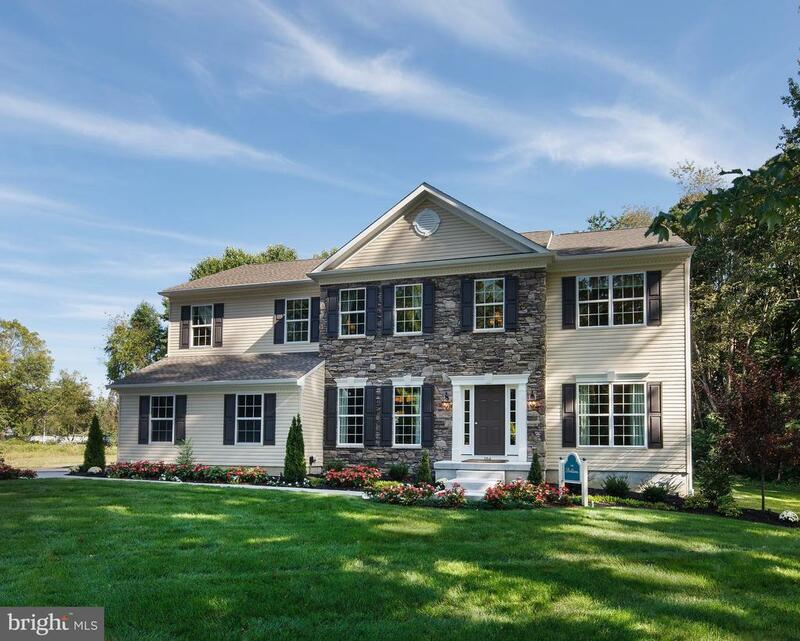 The home will have a brand new roof ins"
"Brick Pavers lead to this Magnificent Contemporary located on over one acre premium lot in desirable Plumtree Estates. Enter the Two Story Foyer on ceramic tile flooring which continues into the Kitchen with Breakfast Room featuring stilestone countertops, stainless appliances and Breakfast Island. Formal Living and Dining Rooms showcase crown molding, shadow boxing and custom draperies. The First Floor Study with Vaulted Ceiling, hardwood flooring, Built In Bookshelves is excellent for that in home office. The Great Room showcases a gorgeous linear gas fireplace with Marble Surround and Crown Molding. The Entertainment Room surrounded with windows features French Doors leading to the Deck of this Fabulous Spacious Fenced Backyard with Inground Pool, Brick Paver Patio, Brick Coping and Pergola with electric. The Upper Level features a Master Suite with French Doors, window seat, Walk In Closet with Closet System, Master Bath accented with dual sink vanity with granite countertop, New garden tub and ceramic tile shower and flooring. 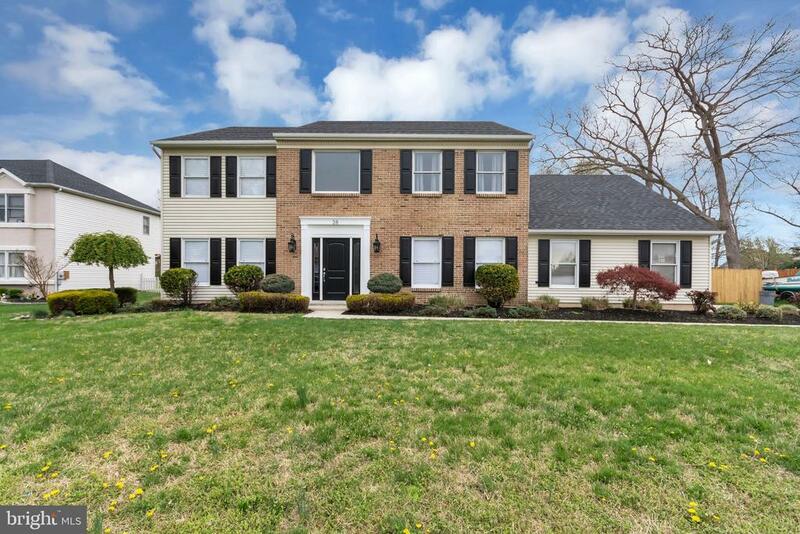 Three Additional generously sized bedrooms which have been freshly painted with new carpeting and Hall Bath with sitting area complete the upper level. Full Finished Basement, New Roof, Newer HVAC, Two Car Side Entry Garage. Close to shopping, schools and major highways." "Admirers have referred to it as the amazing house with all the windows, or you've driven by and said I LOVE that house, well now it can be yours! 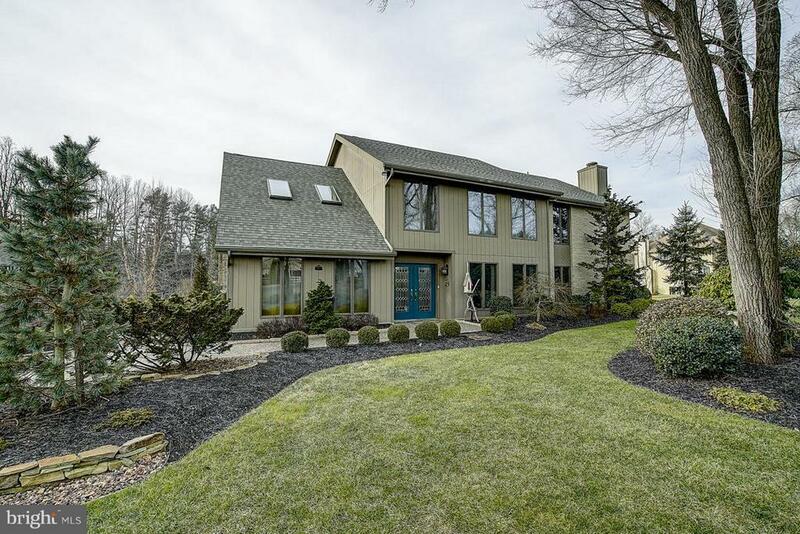 With arguably the best view in Premier Washington Township, this custom 3 bed (4th in the basement) 3 bath home boasts a full wrap around deck and twelve massive windows delivering a magnificent view of the iconic Duffield's Farm. Its Swiss Chalet style architecture and modern interior design create a clean and functional space that will WOW your friends and family Take in the sunrise out front with coffee on the balcony or stroll out back on the nature trail that leads to Cedar Lake & Washington Lake Park. Just move in and relax because last year almost EVERYTHING was remodeled with style! All new kitchen (with waterfall Arctic Quartz countertops) and new appliances, all new bathrooms (tubs, showers, tile, toilets, & fixtures), new bamboo flooring throughout, new carpets, new finished basement, new heater, new light fixtures & fans, new HVAC unit in the garage & office, new fence, and all new LED bulbs inside and out. Some other cool features include smart home security system, cameras, dual zone Nest thermostats, and a Mega Master Suite complete with gas fireplace, sixteen foot vaulted ceiling, jacuzzi tub, and a MOVIE THEATER! Step onto the back deck to hang by the bonfire and watch the EAGLES or play with the childrern in the fenced-in yard. Above the large two car garage is a finished loft space that can be your office or craft room. This could be the most unique home in town and won't last long, schedule your showing TODAY"
"Welcome to Wrenfield! This Brick Front home features 2 Story Foyer, 4 Br, 2.5 Ba,Formal Living Room, Formal Dining Room, Family Room w/ Fireplace & Eat In Kitchen. Upstairs has 4 Br. ,Master Suite & Hall Bath. There is an Awesome Size In Law Suite that is such a Great feature!The InLaw Suite has as Open Living Room & Kitchen, Bedroom w/Huge Master Closet & Gracious size Bathroom. You will have plenty of fun & plenty of parties in the Huge Back Yard Oasis. The Deck is massive and also has an attached Gazebo w/ Ceiling fan. An InGround Pool w/ SPA will certainly be appreciated by many!" "1 Year Home Warranty being offered to the buyer! 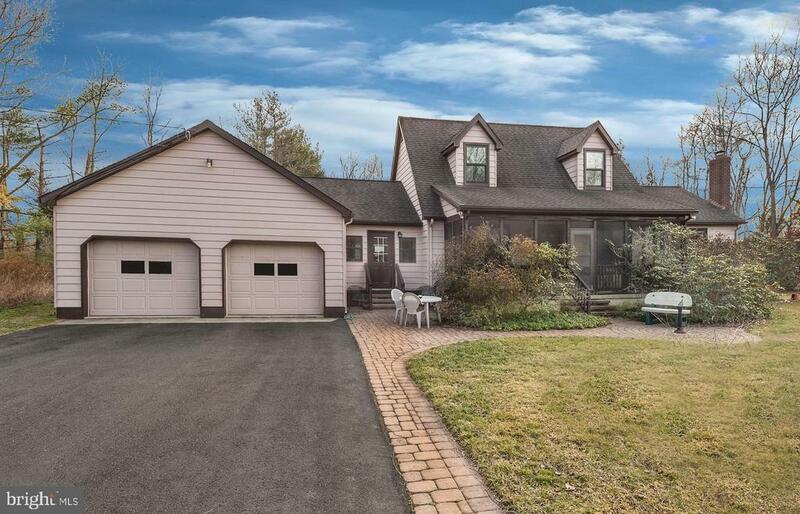 Updated and Unique describe this large split level home - in 2018 this home was renovated with the addition of 1,000sf. After the 2 car garage conversion this home is now just above 3,000sf above grade boasting 4 bedrooms and 3 full bathrooms. Walk through the front door into the spacious foyer on all new flooring. The massive natural stone fireplace and picturesque windows make the living room warm and inviting. The kitchen has been recently semi updated with brand new backsplash, new appliances, new granite countertops, painted cabinets, and new flooring. The family room, lower bathroom, and 4th bedroom, along with the gorgeous carrera marble wet bar - are all brand new - providing a great area for entertaining. Upstairs, 3 additional bedrooms which all have recently been painted with new trim. The large master bedroom has an updated master bathroom, complete with glass shower enclosure and large corner tub. Attached to the master bathroom is a beautiful makeup/dressing room with marble countertops. In addition to the 3,000sf above grade living space, the home also features a basement which is partially finished with a kitchenette, living room, and playroom, along with an unfinished area for storage. The two level attic spanning the length of the home also provides for ample storage as well or future conversion into living area. 3.66 acres of serene property surround the home. The backyard features an above ground pool surrounded by a brand new composite deck. Natural stone covers the exterior of the home and the home also features a slate roof. There is also a brand new central air conditioning unit complete with new duct work. For the cold winter months there is energy efficient in floor radiant heating and incase you are looking for an extra source of heat, there is also forced hot air. Upgrades include but not limited to: new flooring throughout, updated bathrooms, new paint throughout, new windows throughout, n"
"Beautiful Normandy Executive model home located in the desirable development of Wrenfield! 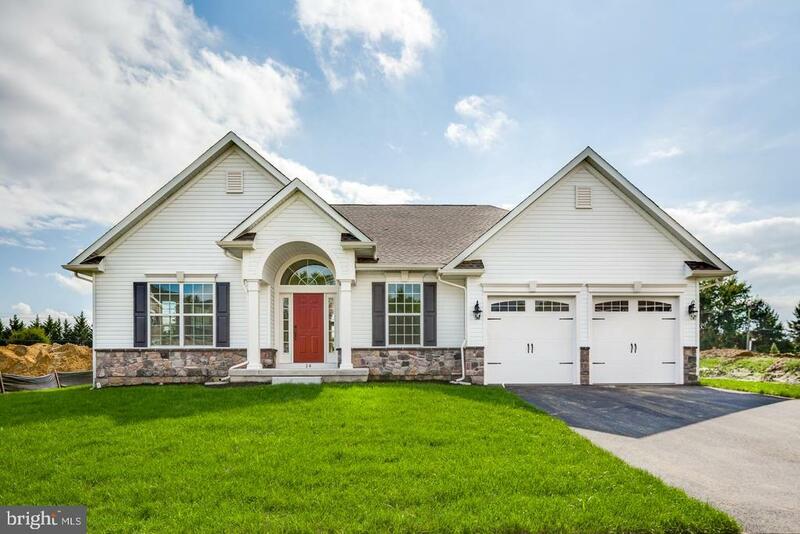 This home is featured with a full stucco front, vinyl siding, and a 2-car side entry attached garage. Once you step inside you will find a wonderful layout with a beautiful foyer entry, vaulted ceilings and a dramatic winding staircase. On the main level you will find the spacious, newly carpeted living room. Connected to the living room is the formal dining room with a lovely bay window and hardwood flooring that flows into the kitchen. The large eat-in kitchen features dark wood cabinets, a center island, range, microwave, dishwasher, and breakfast nook with a bay window looking out to the rear yard. Adjacent to the kitchen is the step down family room with a brick gas fireplace and sliding glass doors that lead to the backyard. The sizable mudroom/laundry room has a door for inside access to the garage. On the upper level you will find double doors that open to the master bedroom with master bathroom, and large walk-in closet. Also on the upper level are 3 additional spacious bedrooms all newly carpeted and one full bath. On the lower level is a fully finished basement with the 3rd full bathroom. This area has new carpet as well. The backyard features a paved patio perfect for a grilling and lounging area, a fenced in-ground swimming pool, and a storage shed. The rear yard is amazing and can be even more amazing with your magic touch! With some additional landscaping and time & attention, this home can turn into something more beautiful than you imagined! Property is being sold strictly As-Is Don't delay, this property won't be on the market for long!" "Gardener's Paradise! This Beautiful Cape Cod is located on 5.6 acres of blooming trees and lush flowering gardens. As you enter the private driveway to this Fabulous Home you will be enamored with the Brick Paver Walkways leading you to the entrance of this Charming Home. Relax in the Screened Front Porch opening to Beautiful Original Hardwood Oak Flooring which continues throughout. The Upgraded Kitchen features New Quartz Countertops and New Ceramic Tile Backsplash accented with Ceramic Tile Flooring. First Floor Master Suite with Walk In Closet and Full Bath with Stall Shower. Enjoy the Bright Sunroom with Radiant Heat Flooring and Four Skylights leading to the Spacious Exterior Trex Deck overlooking this Fabulous Wooded Backyard accented with Brick Pavers. The Upper Level features Two Generously Sized Bedrooms and a Jack and Jill Full Bathroom. Newer Roof (2007), Newer Pella Windows Throughout (2012), NEW Propane Heater 3 Zone, Upper A/C (4 years old) Main Level A/C (1 year old) , Gas Hot Water Heater (2 years old). Ceiling Fans Throughout, Pull Down Partially Floored Attic. A Must See!" "**Update...Freshly Painted Bedrooms 2,3 and 4..Nuetral Colors...Entry way Stairwell Painted, Freshened up....Welcome Home to the Charming Neighborhood of Shadowbrook! 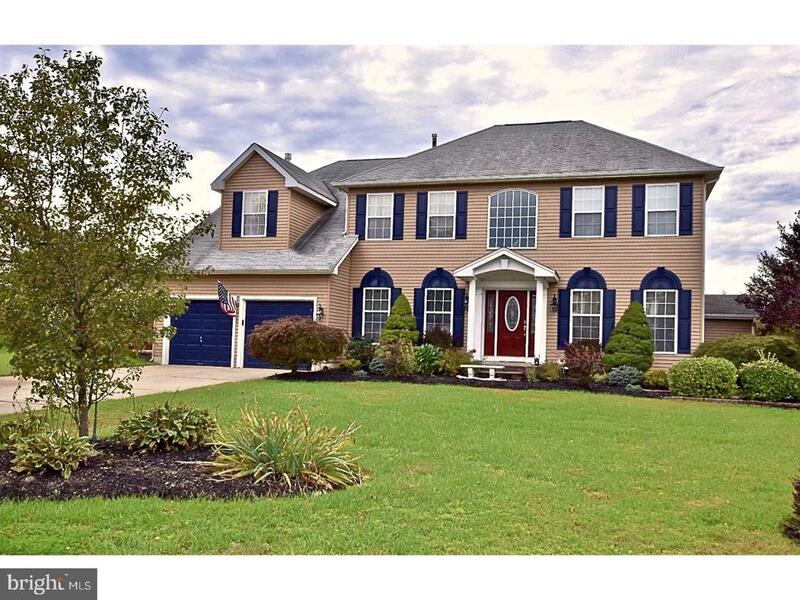 Here you will find this Lovely Full 5 bedroom, Full 3.5 bath home waiting for you to make it your own. This home boasts so many fine features, Esp since adding a Large 460+sq ft 2 story addition. Let's start with 9ft main entrance into this spacious gem! To the left you have a large study/office/library with double door entry. To the right is the formal living room. Central in the foyer is the graceful wood staircase leading up to 5 bedrooms, 2 full baths and Master suite with Master bath and Closet suite. Formal living room leads you to the very spacious dining room, with sliding door to the exquisite hardscape patio. From the dining room you enter into the sunlit kitchen with island and breakfast nook. This Kitchen has 2 bountiful pantries with enough room to store everything you need! Step down into the gorgeous family room, with stunning crown molding and elegant marble and sculpted wood fireplace. Upstairs has 2 full bathrooms, one with double sinks. The Master Suite is the most enticing of all! This bedroom with a double door entry with stunning crown molding and wainscoting through out the room. Master Bedroom leads to Closet Suite that is just massive, with well placed washer and dryer within! Custom Master bath boast 4 massage shower heads and 2 shower heads for a luxurious shower expierence ! Corner jacuzzi HEATED tub! Beautiful custom tile throughout the bath and granite high countertops and divine custom cabinetry and built in vanity. Home had an addition that added the Master suite and 5th bedroom and full basement addition. Full finished basement area adds so much extra living space and has a walk out entrance, unfinished portion of basement has so much storage space. The backyard Oasis has a 16x40 HEATED in ground pool with fencing. Exquisite hardscaping that flows the length of the ho"
"Welcome home! 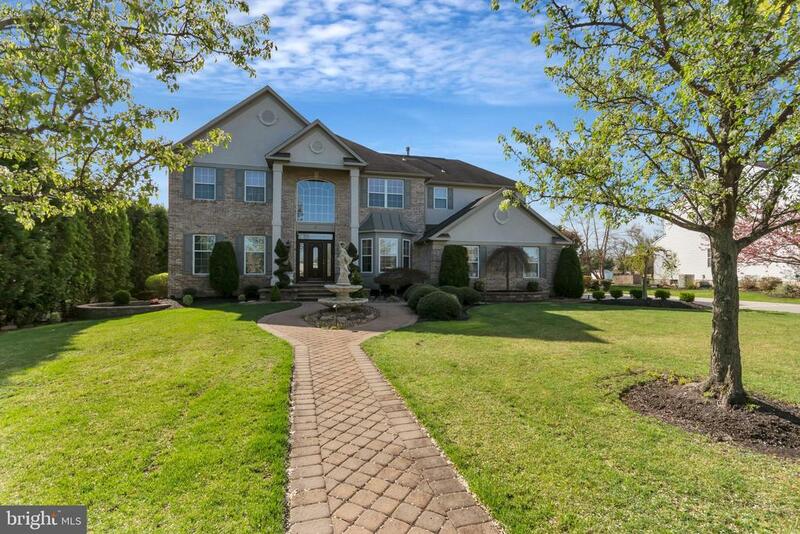 This stunning two story home is situated on a large lot in the well established Deux Mare Estates development in Washington Twp. Each room has been professionally renovated with a designer touch. As you enter, you are greeted with 7.5in wide hardwood floors that serve as the perfect compliment to the natural light that flows throughout. The dining room features custom board and batten walls, fresh paint and new light. Enter into the huge eat in kitchen and find new soft close cabinets, stainless steel appliances, tile backsplash and granite countertops. Off the kitchen, you will find a large laundry & mud room complete with customized storage space to help keep your home neat and organized. 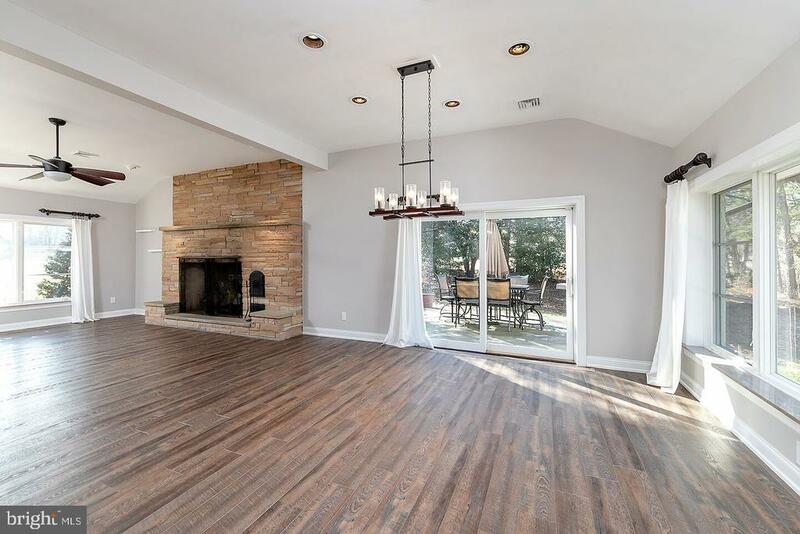 The large family room boasts new carpet and a wood burning brick fireplace. On the second floor you find double doors leading to the master bedroom with a walk in closet. Unwind from the day in the gorgeous master suite complete with marble tile, new European soaking tub and dual shower heads. Down the hall you will find 3 spacious bedrooms and fully renovated hall bathroom equipped with dual vanity and new tile. The sprawling fenced backyard is the perfect space to enjoy the summer months. This home includes new: roof, electrical service, paint, carpet and much much more!" "Absolutely GORGEOUS! 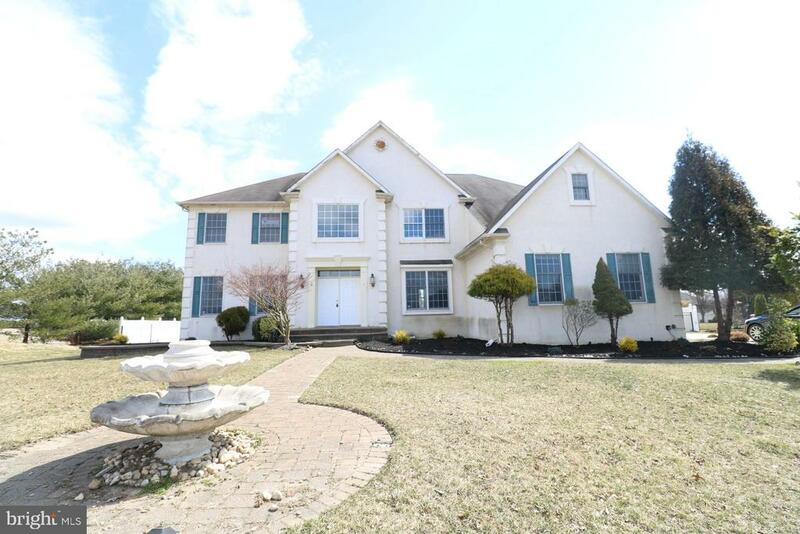 11 Lambourn Path Sewell NJ. Surrey Lake Estates! 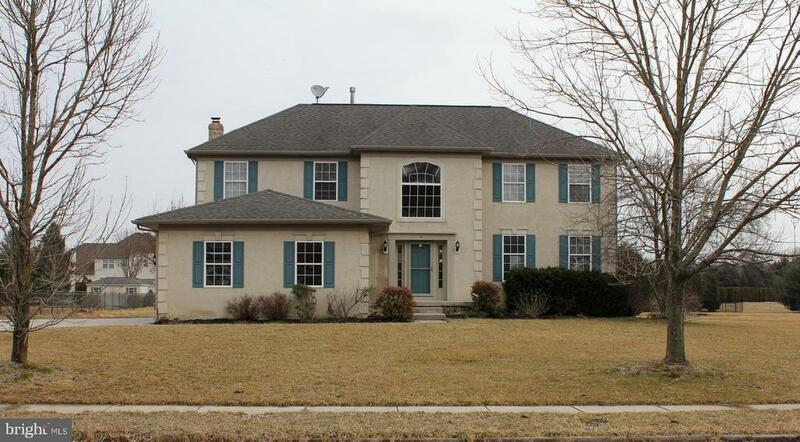 This Danbury model is absolutely spectacular and in move in condition. Just unpack your bags! Professionally landscaped with retaining walls, rock beds around the home and low voltage lighting. To keep the lawn nice and green, there is an irrigiation system. The roof was fully replaced in 2016! The interior of this home has a wide open floor plan with a cathedral ceiling in the family room! The formal living room and dining room has beautiful crown molding. The kitchen has recessed lighting, granite counter tops, beautiful pendant lights and tile flooring. Off to the large and open family room which has a cathedral ceiling, fireplace and 2nd staircase leading to the 2nd floor. Upstairs, you will find 4 impeccable, large bedrooms. The master has it's own master bath, along with a master suite! The master bath has tile flooring and was updated with a glass shower enclosure. The basement is very nicely, fully finished with it's own supplemental heating. For the summer months, there is a beautiful in ground pool with a 6ft vinyl fenced in back yard. There is also an extended patio."